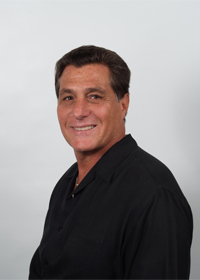 Charlie has been in the construction and real estate development business his whole life. He started SCS in 1999 and is presently engaged in on average $25,000,000 in commercial construction per year with 25 employees. Sisca Construction built its current corporate offices in 2004, located on Okeechobee Boulevard in West Palm Beach. The company services and works throughout South Florida. Charlie's business model or philosophy is "THE GOLDEN RULE" of what goes around comes around. That you should treat everyone with respect and always do the right thing. The company's growth and success has been based on that foundation and why it adopted the tagline "YOUR PARTNERS IN SUCCESS." Impact Employees have ownership and vested interest in the business. Sisca has created 4 minority partners, Chuck Holland, VP of Construction, Roger Lovejoy Chief Estimator, Jessica Sanchez VP of Business Administration and Sherrie Sisca VP of operations. Sisca treats employees like family, working together on their common goals. Everyone is a team player and each employee's contributions are vital to the success of the company and its customers. Sisca's success is based on its partners' success and the company does everything it can to ensure that success. Sisca not only develops business relationships, but builds life-long friendships as well.